HireMatch.io is a Decentralized Application (DApp) that will eliminate the friction and costs of third party intermediaries like expensive recruiters, when firms are searching for talent. HireMatch will reduce the cost to find, interview and acquire new employees by removing unnecessar y friction and creating a more efficient marketplace by incentivising “Agents” with our ERC20 token we call “HIRE”. 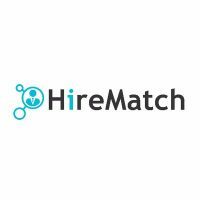 HireMatch has a mission to revolutionize and disrupt the recruitment industry by improving the current job marketplace quality worldwide, reduce the costs across the board, increase employee quality and create a community of people. By using and implementing this platform, agents will receive rewards in the form of tokens, giving power back to the people and away from large corporate job boards. The ultimate goal is to provide a solution and support for the current woes in the job board and recruitment industry.